Having grown up in a household with lots of girls (I have 3 younger sisters) we have been through prom dressing shopping quite a few times. It can be fun at times and quite stressful other times. It really depends on the person I guess. Although visiting actual bricks and mortar shops is helpful, shopping online presents endless options for different styles and colours! A website such as Victoria's Dresses provides a vast amount of options not just for prom dresses but also for some wedding dress shopping. So whether it be a prom dress, a wedding dress or even bridesmaids dresses I highly recommend heading over to Victoria's Dresses. And here is the thing not only are they having a massive sale right now - I have seen some dresses with up to 70% off - they are also offering free shipping for any order over 200 pounds. 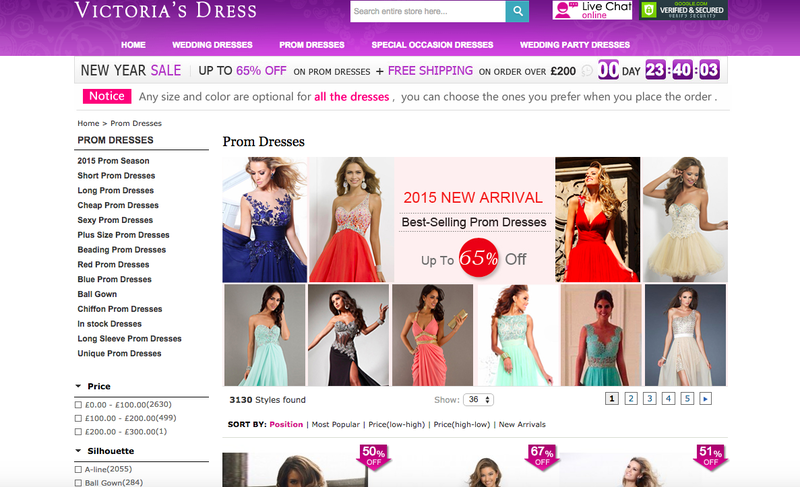 So I would head on over to their website and get my prom dresses shopping done early!